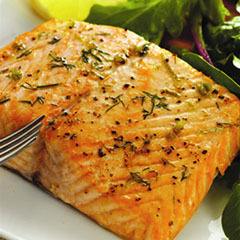 Fresh Atlantic salmon with a light coating of dijon mustard, dill and pepper, grilled and served with rice pilaf. 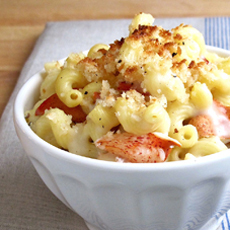 Comfort food, gourmet style, with aged cheddar and gruyere cheeses, and baby lobster tails. 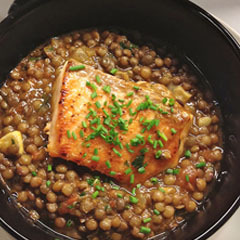 Maple glazed and seared salmon filet, with french green lentils seasoned with garlic and thyme. 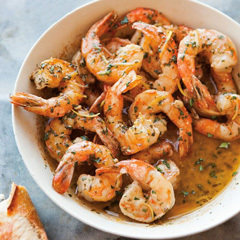 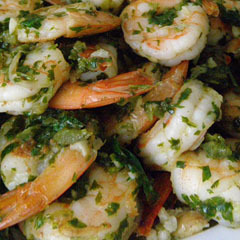 Jumbo shrimp in cilantro, lime and garlic sauce, served with Cuban style black beans and white rice. 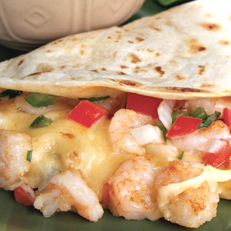 Large sautéed shrimp and gooey melted Monterey Jack cheese sandwiched between flour tortillas and grilled. 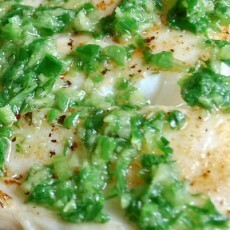 Served with sour cream and homemade salsa fresca. 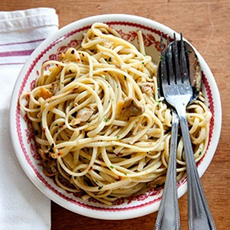 Classic Italian favorite: linguine in a white wine and garlic clam sauce, with baby scallops thrown in just for the heck of it. 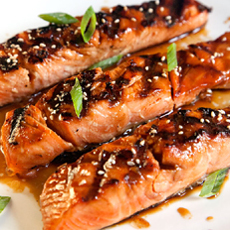 Sweet and tangy Teriyaki Salmon, served with an Asian version of rice pilaf. 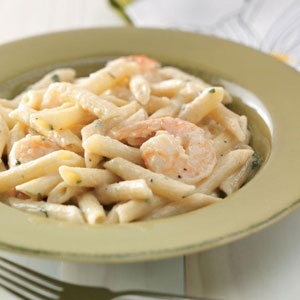 Penne pasta and shrimp tossed in a creamy garlic alfredo sauce.